What do FLUTD, kennel cough, and eczema all have in common? They are all umbrella terms that describe a set of symptoms, rather than nailing down a diagnosis. For example, ‘eczema’ describes inflamed, scaley skin, but it doesn’t tell you the cause; which could be an allergy, infection, stress, hormones, immune-mediated…you get the picture. So is this a case of being pedantic about peeing, or does it really matter? Yes and no. There are certain actions an owner can take to keep your cat’s bladder healthy regardless of the reason for a cat’s pee problems: So ‘No’ it’s not always essential to find the root cause However, in some cases, ‘Yes’ it’s necessary for the vet to undertake an in-depth investigation and so that specific treatment can be started. But we’re jumping ahead of ourselves; let’s first find out what we understand by FLUTD. Imagine one day you unexpectedly find your favorite coffee shop is shut, with no explanation. The reasons could include staff illness, rats in the kitchen, no hot water, or the power shut off. Whilst the reasons vary, the outcome is the same: A closed coffee shop. Is Your Cat at Risk of FLUTD? FLUTD causes discomfort and in the most serious cases, can be life-threatening. Therefore it makes sense to identify the cats most at risk, and be proactive to keep them healthy. First out, it has to be said that cats of any age, breed, or gender, neutered or entire, can suffer from FLUTD. However, analysis of statistics does point an accusing finger in certain directions. For example, middle-aged, desexed cats top the polls of FLUTD cases. Also, weight is important. Overweight cats are at greater risk than their lean cousins. In part this is because they’re less active, which is another factor right there…activity levels. Lazy cats that don’t exercise are far more prone to FLUTD to felines who play or hunt. In turn, it’s an almost inevitable consequence that more indoor cats tend to suffer from FLUTD than those with the freedom to roam outdoors. 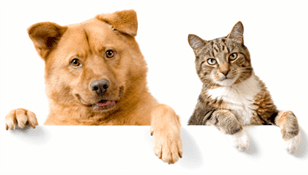 If you cat shows signs of urinary discomfort, then see a vet right away. This is crucial because blocked cats (those totally unable to pee) look the same as those with cystitis. However, there’s a world of difference to the outcome because left untreated, a blocked cat will go into renal failure and die. The two conditions can only be told apart, by a vet examining the cat. This means hot-footing it to the clinic at the first sign of a cat in urinary discomfort. For a cat with no history of urinary problems, the vet may jump right in with treatment. However, if the cat is a serial offender then the vet will want to seek out the underlying cause. • Urine Culture: The aim is to grow any bugs in the urine, to give a definitive answer as to whether infection is present. This also makes for targeted antibiotic use, guaranteed to kill the bacteria. • Urine Analysis: From the pH (how acid or alkaline the urine is) to crystals present, this troubleshoots for potential problems. • Ultrasound Exam: Ultrasound gives a gray-scale picture of the bladder, including how thick the bladder wall is (an indicator of inflammation), and the presence of polyps, stones, or cancer. • Radiography: Helps identify stones blocking the urethra or old fractures that could interfere with bladder function. • Bladder Biopsy: In some cases, collecting a small sample of tissue from the bladder wall is important to reach a diagnosis. What is the Treatment for FLUTD in Cats? Where possible an underlying cause is found and corrected. For example, if the cat has a urinary infection then antibiotics are needed; whilst crystals in the urine require a diet change to dissolve them. In most cases the vet will prescribe anti-inflammatory pain relief, to make the bladder more comfortable. For those cats where a blockage is suspected, an urgent anesthetic is necessary to pass a urinary catheter and relieve the obstruction. The subsequent spasm and inflammation of the urethra can take several days to settle, so expect the cat to be hospitalized for a while. In the longer term, if stress is suspected to be a factor, then taking steps to provide an oasis of calm within the home could reduce the frequency of flare ups. How Can I Reduce the Risk of FLUTD in Cats? Anyone whose cat has endured the misery of FLUTD will be keen to prevent it happening again. Since stress is a factor, making the home as feline-friendly as possible is important. Simple things can make all the difference, such as having multiple litter boxes in a multi-cat household. Do you know there’s a ratio of cats to litter trays? The rule is: One tray per cat plus one spare. Three cats means four trays etc. But more than that, the trays should not be lined up in a row, but separate around the home. And each one needs to be in a private location where the cat feels safe to toilet undisturbed. If yours is a stressy, anxious cat then try plugging in a Feliway diffuser near her bed. This gives off a synthetic cat pheromone that helps her feel chilled and reassured. For the super-stressy cat consider food supplements such as Zylkene, which have a naturally calming effect. And don’t forget what we said about canned food. Upping the water intake of your cat by feeding moist feed and providing a cat drinking fountain can make all the difference. And a fountain is certainly cheaper than repeated trips to the vet! And finally, know that FLUTD is an umbrella term, with many causes. If your cat shows signs of urinary discomfort safeguard your cat’s well-being and always seek urgent veterinary attention. The post FLUTD – Why My Cat Can’t Pee appeared first on Love That Pet.